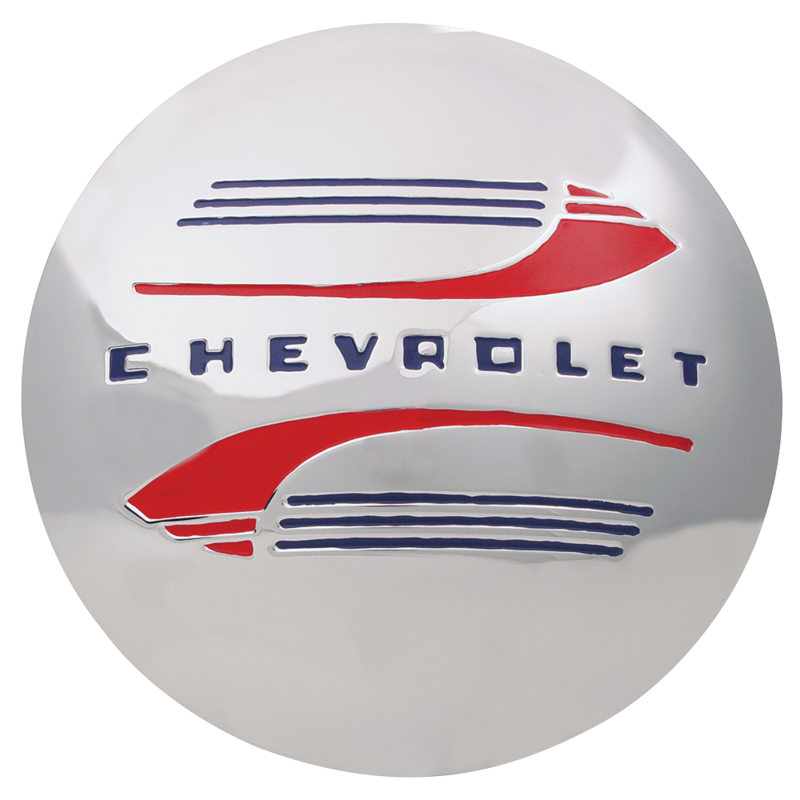 This is a 1941 Chevrolet hub cap with blue lettering and red accents (1941-47). The 7.0" back inside diameter fits many of our steel wheels. Use these vintage style Chevy hubcaps with compatible steel wheels for a classic dig dish look. Please check your actual wheels for the required cap fitment size. Coker Tire Company offers a huge selection of aftermarket hubcaps and wheels for collector vehicles.